Fungi, a neglected component of acidophilic biofilms: do they have a potential for biotechnology? Fungi from extreme environments, including acidophilic ones, belong to biotechnologically most attractive organisms. They can serve as a source of enzymes and metabolites with potentially uncommon properties and may actively participate within bioremediation processes. In respect of their biotechnological potential, extremophilic fungi are mostly studied as individual species. Nevertheless, microorganisms rarely live separately and they form biofilms instead. 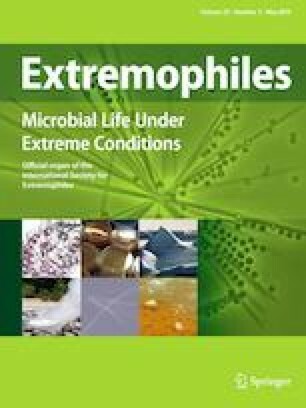 Living in biofilms is the most successful life strategy on the Earth and the biofilm is the most abundant form of life in extreme environments including highly acidic ones. Compared to bacterial fraction, fungal part of acidophilic biofilms represents a largely unexplored source of organisms with possible use in biotechnology and especially data on biofilms of highly acidic soils are missing. The functioning of the biofilm results from interactions between organisms whose metabolic capabilities are efficiently combined. When we look on acidophilic fungi and their biotechnological potential we should take this fact into account as well. The practical problem to be resolved in connection with extensive studies of exploitable properties and abilities of acidophilic fungi is the methodology of isolation of strains from the nature. In this respect, novel isolation techniques should be developed. This text has been created within the frame of the project 17-09946S supported by the Czech Science Foundation. Lukáš Bystrianský was further supported by the student project of Internal grant agency SGS UJEP “Modification of polymer nanofiber textile” (J. E. Purkyně University in Ústí nad Labem). We thank Dr. Kofroňová (Institute of Microbiology ASCR, Czech Republic) for assistance with scanning electron microscopy.